Since Ranger’s splash into the aluminum boat market in 2013, its aluminum line keeps expanding, and for 2019, the builder from Flippin, Ark., unveils its smallest model yet, the 16-foot-long Ranger VS1660. Typically, the smallest boat in the fleet is a “price boat” that’s designed to lure boaters into the family. 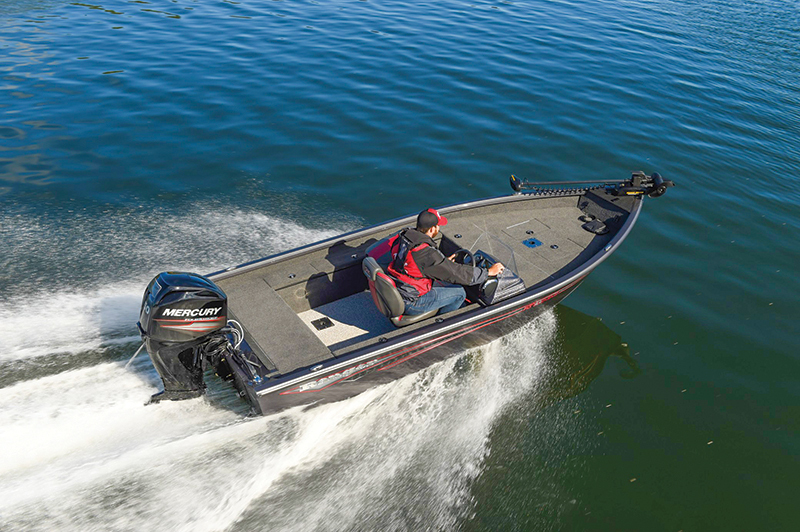 The VS1660 qualifies there with an MSRP of $18,995 — Ranger’s big bassin’ wagons such as the Z521L can approach six-figures with all the options — but it immediately defies the label in other ways. The first indicator of a boat being entry level? Cheap seats. But the pedestal seats on the VS1660 are really nice and are clearly the product of Ranger’s vaunted in-house upholstery department. 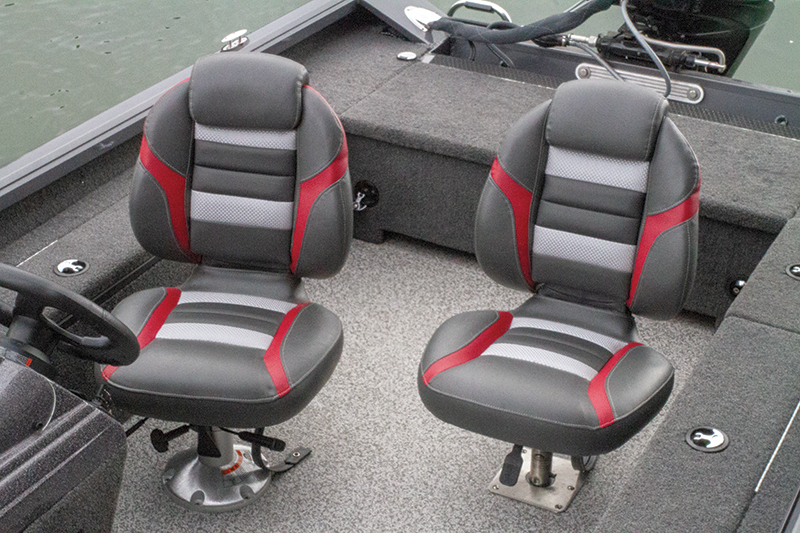 One of them can be repositioned to the bow as an at-rest fishing seat. An extra one costs $399. Made of fiberglass, the driver’s console is an homage to its Ranger DNA. 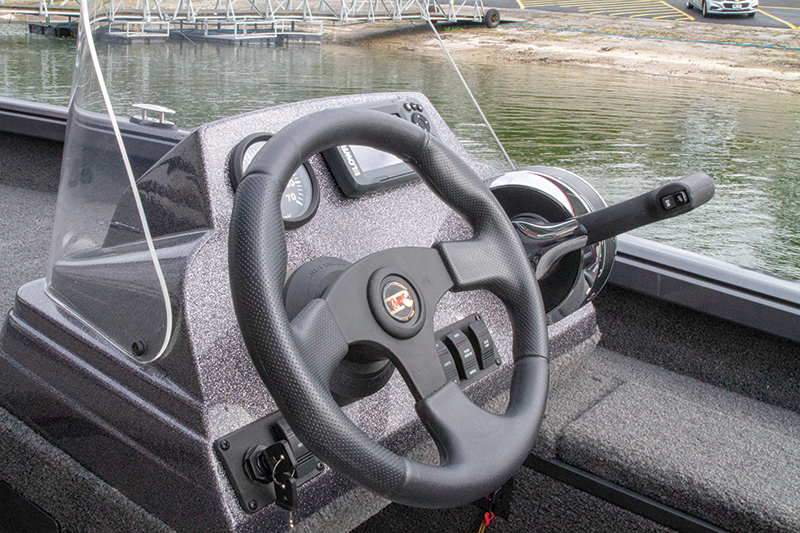 The power lever’s placement on the console makes it a little awkward for driving, but it’s probably a smart place for it, since it frees up the gunwale area for a lockable storage locker that can hold Plano tackle boxes or life jackets. Naturally, with a Mercury 50 FourStroke, it’s no speed demon, but it’s just right for smaller lakes and rivers. 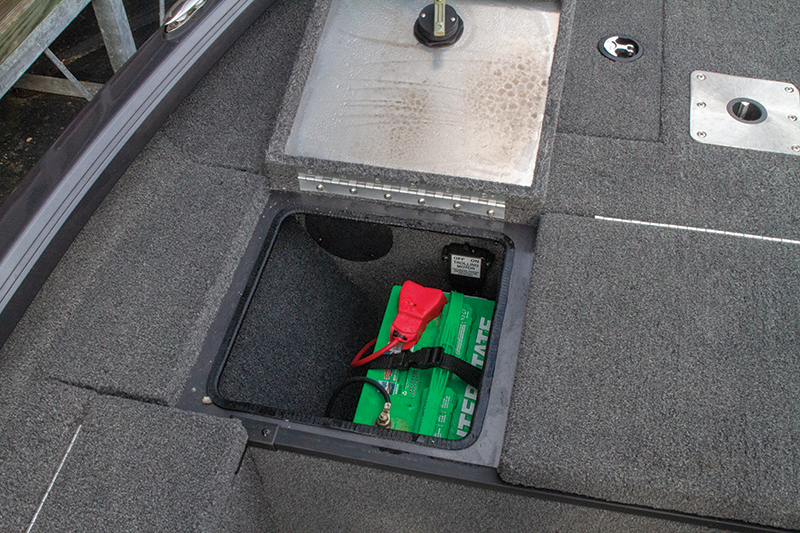 The trolling motor’s battery is in the forward deck, next to the huge 20-gallon livewell, so the VS1660 has no problem planing. There’s really not much bowrise; it pretty much rises in a level fashion as it planes in a leisurely time of five seconds and reaches 20 mph in 9.1 seconds. I was surprised by the relatively fast top speed of 32 mph. Most 16-footers have a single six-gallon tank, but the VS1660 has room for two of them under the rear deck, which easily flips up for access. Entry-level boats are typically devoid of extras, so they can reach an attractive nationally advertised price, but the VS1660 includes items such as a Ranger Trail trailer, a Minn Kota Powerdrive 55 trolling motor, a Dual-Pro battery charger and maximum Mercury power. 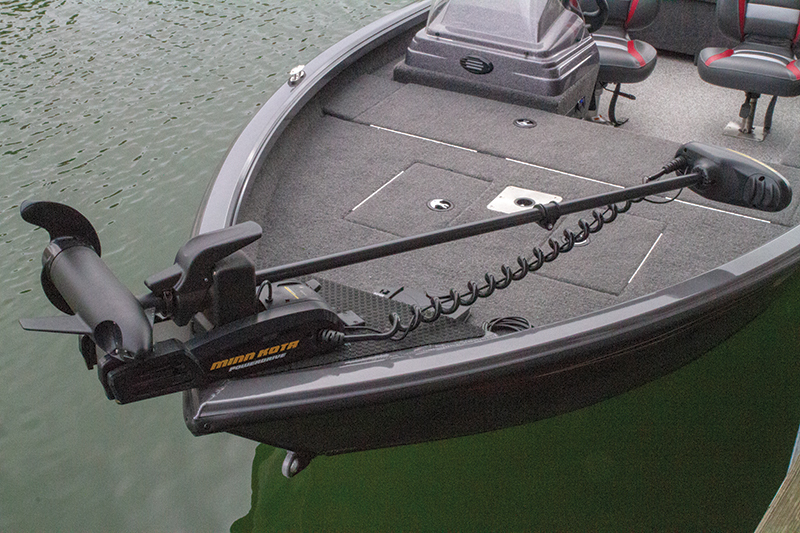 Ranger makes it easy to accessorize the VS1660 with a Lock-Track mounting system that allows temporary installation of items including rod holders, tables and downriggers. A dash-mounted Lowrance Hook2 4-inch fishfinder is standard, but buyers can upgrade that to a 7-inch Hook2 gimbalmount unit for $805. Beam: 7 ft., 5 in.